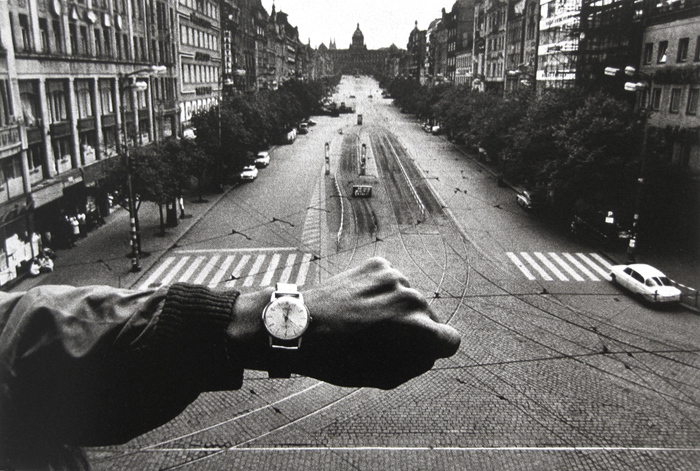 Every time that I’m at this site in Prague, I still think about the intensity of this image, its political and temporal tension. While I imagine most people are glad that the political aspects of the square’s function have changed since 1968, it does feel slightly ridiculous and highly ironic to stand at this same vantage point in 2010, surveying a landscape of sloppy tourists on Segways, drunks prowling the girlie-bar circuit, and the logo-littered gauntlet comprised of the H&M/Ben&Jerrys/Starbucks/Marks&Spencer/Hooters/etc chains now choke-holding the area. (I almost implicated the ubiquitous sausage stands in my quasi-critique too, but I love them too much to reject them.) Wenceslas Square to an outside observer just seems kind of dumb and tacky when one doesn’t know the many layered histories and dramas that have unfolded here. 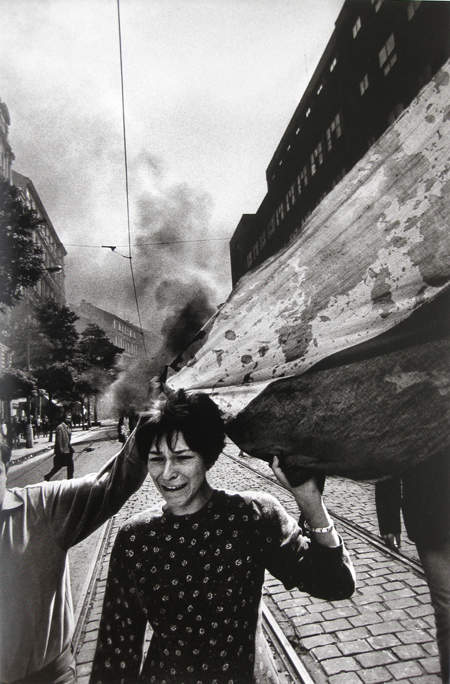 For a long time, Koudelka’s two monographs (Gypsies and Exiles) were exceedingly difficult to find: out of print, and only available at a mercenary’s price on eBay or through specialist booksellers. I was lucky enough to have stumbled on to an affordable copy of Gypsies as a kid, and I treasure it beyond measure: I was dumb enough to have also stumbled upon Exiles around the same time, and couldn’t justify the expense (which was ridiculously cheap, relative to its current market value) and so didn’t buy it. Over the years, I’d routinely prowl bookstores, wistfully hoping for a stray copy of Exiles to magically appear before my eyes. I figured/hoped someone would eventually republish those 2 books, but it never seemed to happen. I didn’t know that Thames & Hudson had finally put out a new Koudelka survey book in 2006 until last week, when we found a copy in a bookstore here in Prague. 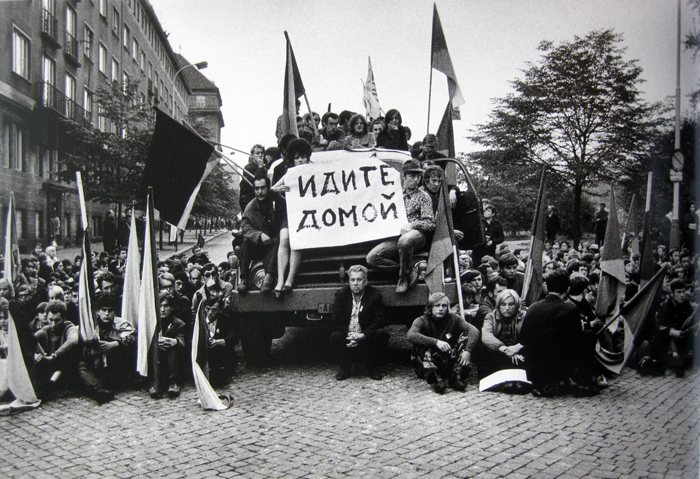 That, coupled with also discovering a Czech-language copy of his seminal Invaze 68 photos (only published in 2008), was more than I could ever have dreamed of. 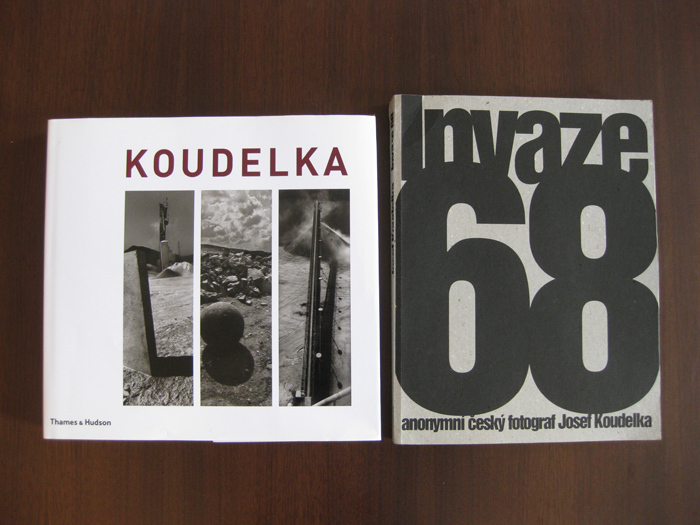 Perhaps if I’d been looking a bit more actively in recent years, these books would have come to my attention sooner, but no matter: I’m just so grateful to have them now, and so to have been reunited with Koudelka right here in Prague. I’m also glad that I now have a great deal more Czech history, context and language knowledge with which to appreciate them. 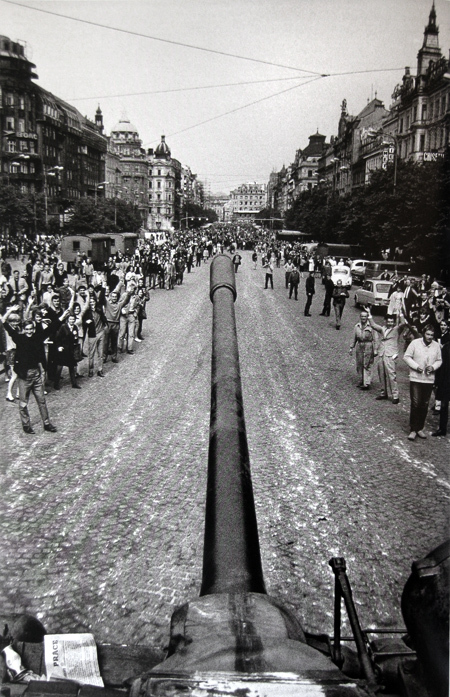 The Invaze 68 book in particular (pictures below) is all the more thrilling, heartbreaking, tragic and special to me, since virtually all of the photos are taken in Prague, on streets I know very personally. Dreams just came true: I was so thrilled when I got these 2 books that I wrote a nerdy Facebook status update about it last week. My old friend Trevor, a really talented photographer I actually first traveled to Czechoslovakia with yeeeaars ago, happened to see said update, and promptly offered me his extra copy of Exiles. I am beside myself with excitement. You are currently browsing the Wofflings weblog archives for August, 2010.